Shaw University served a diverse audience: prospective students, current students, and alumni. To reach each of these audiences, Shaw University was looking to update their information architecture and design. They needed to find a partner that was able to hand off designs they could build in their proprietary CMS. Utilizing grant funding, Shaw partnered with Atlantic BT to begin defining their audience needs. We were able to provide a modern, updated visual to accompany the reimagined navigation. 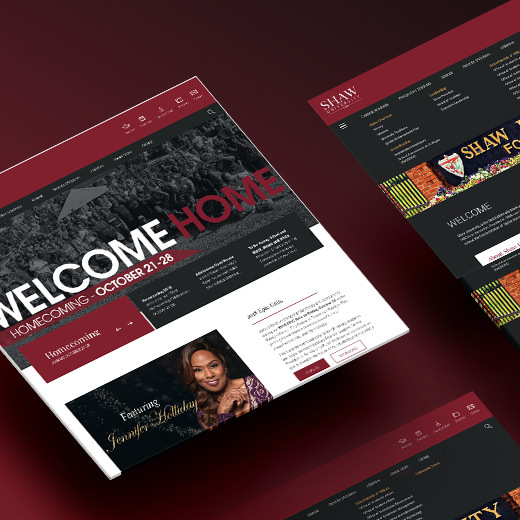 Working with the Shaw University team, the Atlantic BT designers and front-end developers created a visual experience while Shaw implemented the designs on their proprietary CMS.